A down to earth yet practical approach to hiking, fishing, and camping. These are my experiences and my knowledge. Warning: This is a MAJOR rant! Read at your own risk! On Facebook yesterday, I posted I was looking for another rod brand as a few of my Redington Classic Trout rods literally broke in the same place on 2 separate occasions at the tip. I went on to explain that I used these to catch carp and steelhead. No big deal, right? Wrong according to Mr. Know-It-All. So, my first rod broke because of a tree branch. My line got caught in it while traveling through the woods a few weeks ago to go catch carp. The tip just touched the branch and broke. I was pretty livid that it broke so easily but granted I fished that rod solely for a good 8 months so I wasn't too mad. But then it happened again on a separate occasion when I went fishing yesterday! We took a van to our fishing destination as the park provided that service for us which was nice but it wasn't so nice that they didn't have any PVC pipe to protect the rods and 10 guys were in the van stepping on each others equipment....Not very cool. So, on my second cast, the rod tip broke! Just one of a few Redington Classic Trout rods that broke. Not kidding. Lined these tips up with the other CT broken tips and they matched. Scary....! This is how my search for a better rod began and that's why I posted my explanation on Facebook on what rod I was looking for. It all started with a friendly explanation about what brands but as the discussion got deeper, so many haters came in saying that I was abusing the rods. Hmm. No. Did you see that I also fished 2 OTHER Redington Classic Trout rods that broke IN THE SAME EXACT PLACE?! Oh, no! You just wanted to prove your point! 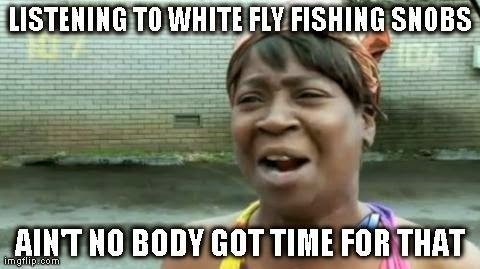 One guy when as far as to post what recommended fish go with each rod. Thanks dude. You're a real contributor to this wonderful discussion. *sigh* I guess people don't realize that rods break. Reels break too! Rods are merely the tool that you use to fish with. If used correctly, they can be a work horse! 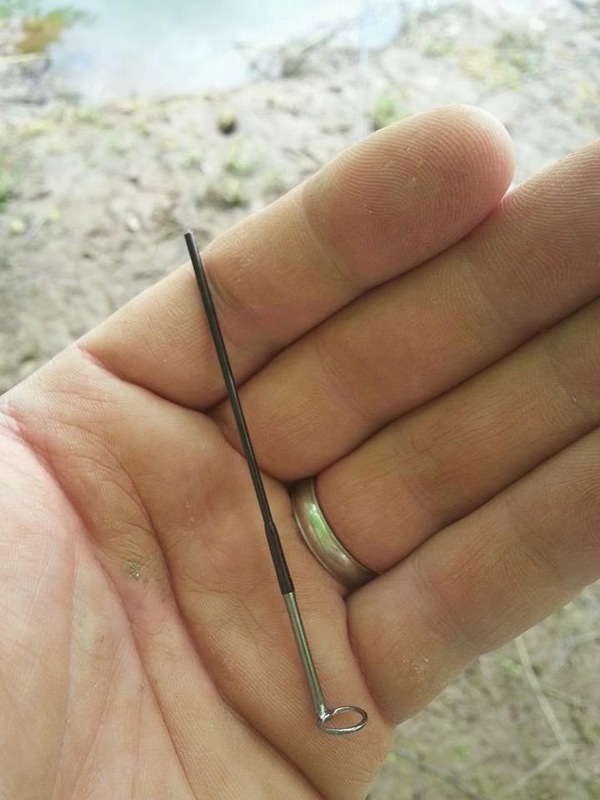 Graphite is a lot more fragile than fiberglass which is why I really enjoy fishing my 6'6" Eagle Claw rod for carp and other larger species that require a subtle cast. I feel like I can never ask anyone's public opinion on any subject about fly fishing and only resort to a select few who are my friends and won't criticize me for what I do. If you know what you're doing and know how to play a fish, yes, you can land them in a short amount of time. Just don't tell me what to do because you're too scared to do it yourself! Have you tried it? No? Then don't tell me what to do. You see, here’s what you did wrong… lol just kidding. Man, I am sorry to hear that your rod broke, man! I have a redington classic CT and I love it! But I look at the tip and I notice how thin and fragile it looks. I know it is a good quality rod but I’m ignorant if I don’t think it will ever break. Maybe the tips on these rods were incorrectly made more fragile in this specific place? I don’t know but thanks for the heads up, I will treat mine with extra care. Thanks for the heads up brotha! So what rod do you recommend? I would recommend a Temple Fork Outfitter rod but if you can, go with Loop or St. Croix. Great sticks St. Croix is definitely less expensive than Loop Tackle but Loop is seriously amazing.